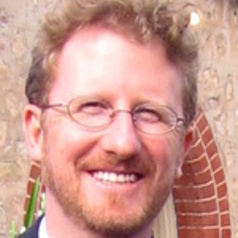 Mark Thyer is a Associate Professor in Civil and Environmental Engineering at the University of Adelaide. He has over 12 years research experience in developing physical-statistical models to enhance predictions for hydrological, environmental and water resource models. His research interests include flood/drought risk assessment; long-term climate variability, quantifying predictive uncertainty in hydrological models and behavourial water use modelling for integrated urban water management. He is an internationally recognised expert on use approaches to quantify of uncertainty in hydrological predictions. He has published numerous journal papers in top international water resources which are highly cited and is co-investigator on research grants worth over $5 million. Mark has undertaken consultancy projects for many water supply authorities and regularly collaborates with local, national and international institutions, such as CSIRO and the Australian Bureau of Meteorology and the South Australian Goyder Institute for Water Research.